The idea of the classic newspaperman is fading into the mists of time, as nonfiction becomes, for many purveyors, more about grabbing attention than in-depth writing. Luckily, William Zinsser is still among us; in The Writer Who Stayed, he applies his skills, and the art of the essay, to past and modern eras alike. This collection of just over a year’s worth of weekly essays was originally published on the American Scholar website. That column, Zinsser on Friday, won the 2012 National Magazine Award for Digital Commentary—just another highlight of a long and storied career as a journalist and writer of nonfiction. Zinsser has written on a multitude of subjects, and The Writer Who Stayed samples all of them as he muses about writing, technology, travel, baseball, and getting older. 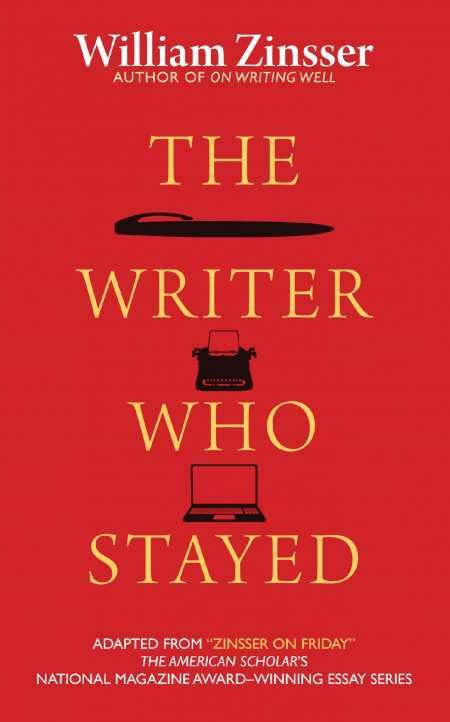 Summing up The Writer Who Stayed is as simple as its range of topics is complex: glimpses inside the mind of a fine writer with plenty to say. On several occasions, Zinsser proclaims his belief that writers and journalists should do what they do because they enjoy it. This writer obviously still enjoys writing, just as readers will take pleasure in the fruits of his labor.